Taesuwan S et al., Relation of choline intake with blood pressure in the National Health and Nutrition Examination Survey 2007–2010. Am J Clin Nutr, 109(3):648-655. Tallman DA et al., Egg Intake in Chronic Kidney Disease. Nutrients. 2018;10(12):1945. doi: 10.3390/nu10121945. Lemos BS et al., Intake of 3 Eggs per Day When Compared to a Choline Bitartrate Supplement, Downregulates Cholesterol Synthesis without Changing the LDL/HDL Ratio, Nutrients, 2018, 10(2), 258. doi: 10.3390/nu10020258. Vazquez-Ruiz Z et al., Egg consumption and dyslipidemia in a Mediterranean cohort, Nutr Hosp. 2018;35:153-161. Ochiai M et al., Egg white hydrolysate can be a low-allergenic food material to suppress ectopic fat accumulation in rats fed an equicaloric diet. J. Nutr. Sci. Vitaminol., 2017, 63(2):111-119. DiMarco, D.M. et al., Intake of up to 3 Eggs per Day Is Associated with Changes in HDL Function and Increased Plasma Antioxidants in Healthy, Young Adults. J. Nutr. 2017, doi: 10.3945/jn.116.241877. Erami K et al., Dietary egg yolk supplementation improves low-protein-diet-induced fatty liver in rats. J. Nutr. Sci. Vitaminol., 2016, 62:240-248. Tânia GA et al., Cholesterol determination in foods: Comparison between high performance and ultra-high performance liquid chromatography. Virtanen HEK et al., Intake of Different Dietary Proteins and Risk of Heart Failure in Men: The Kuopio Ischaemic Heart Disease Risk Factor Study. Circ Heart Fail. 2018 11(6):e004531. Haghikia A. et al., Gut Microbiota–Dependent Trimethylamine N-Oxide Predicts Risk of Cardiovascular Events in Patients With Stroke and Is Related to Proinflammatory Monocytes, Arterioscler Thromb Vasc Biol. 2018 Jul 5. doi: 10.1161/ATVBAHA.118.311023. Chenxi Qin et al., Associations of egg consumption with cardiovascular disease in a cohort study of 0.5 million Chinese adults. Heart. 2018, 1–8. doi:10.1136/heartjnl-2017-312651. Missimer A et al., Compared to an Oatmeal Breakfast, Two Eggs/Day Increased Plasma Carotenoids and Choline without Increasing Trimethyl Amine N-Oxide Concentrations. J. Am. Coll. Nutr., 2018, 37(2):140-148. Geiker NRW et al., Egg consumption, cardiovascular diseases and type 2 diabetes. Eur. J. Clin. Nutr., 2017, doi: 10.1038/ejcn.2017.153. Katie A M et al., Dietary choline and betaine and fisk of CVD: A systematic review and meta-Analysis of prospective studies, Nutrients, 2017, 9(7), 711; doi: 10.3390/nu9070711. Fallah-Moshkani R et al., A case-control study on egg consumption and risk of stroke among Iranian population, J. Health Popul. Nutr., 2017, 36(1):28. doi: 10.1186/s41043-017-0104-2. Sanne M. van der Made et al., One-year daily consumption of buttermilk drink containing lutein-enriched egg-yolks does not affect endothelial function in fasting and postprandial state. Sci. Rep., 2017, 2; 7(1):1353. doi: 10.1038/s41598-017-01370-7. Richard C et al., Impact of Egg Consumption on Cardiovascular Risk Factors in Individuals with Type 2 Diabetes and at Risk for Developing Diabetes: A Systematic Review of Randomized Nutritional Intervention Studies. Can. J. Diabetes. 2017. doi: 10.1016/j.jcjd.2016.12.002. Farvid MS et al., Dietary Protein Sources and All-Cause and Cause-Specific Mortality: The Golestan Cohort Study in Iran, Am. J. Prev. Med., 2017, 52(2): 237-248. Alexander DD et al., Meta-analysis of egg consumption and risk of coronary heart disease and stroke. J. Am. Coll. Nutr., 2016, doi: 10.1002/mnfr.201600324. Katz DL et al., Effects of egg ingestion on endothelial function in adults with coronary artery disease: A randomized, controlled, crossover trial. Am. Heart J., 2015, 169:162-169. Virtanen JK et al., Associations of egg and cholesterol intakes with carotid intima-media thickness and risk of incident coronary artery disease according to apolipoprotein E phenotype in men: the Kuopio Ischaemic Heart Disease Risk Factor Study. Am. J. Clin. Nutr., 2016, doi: 103945/ajcn.115.122317. Goldberg S et al., Egg consumption and carotid atherosclerosis in the Northern Manhattan Study. Atherosclerosis., 2014, 235:273–280. Jeremy M R et al., Association of egg consumption and calcified atherosclerotic plaque in the coronary arteries: the NHLBI Family Heart Study. ESPEN J., 2014, 9: e131-e135. Larsson S C, et al., Egg consumption and risk of heart failure, myocardial infarction, and stroke: results from 2 prospective cohorts. Am. J. Clin. Nur., 2015, pii: ajcn119263. Lee J et al., Egg consumption is associated with a lower risk of type 2 diabetes in middle-aged and older men, Nutr Res Pract. 2018, 12(5):396-405. Pourafshar S et al., Egg consumption may improve factors associated with glycemic control and insulin sensitivity in adults with pre- and type II diabetes. Food Funct. 2018 Aug 15;9(8):4469-4479. doi: 10.1039/c8fo00194d. Ochiai M et al., Egg white hydrolysate improves glucose tolerance in type-2 diabetic NSY mice, J. Nutr. Sci. Vitaminol., 2017, 63(6):422-429. doi: 10.3177/jnsv.63.422. Saande CJ et al., Dietary whole wgg consumption attenuates body weight gain and is more effective than supplemental cholecalciferol in maintaining Vitamin D balance in type 2 diabetic rats, J. Nutr., 2017, doi: 10.3945/jn.117.254193. Luc Djoussé et al., Egg consumption and risk of type 2 diabetes: a meta-analysis of prospective studies. Am. J. Clin. Nutr., 2016, 103:474-480. Samantha KJ et al., Whole egg consumption prevents diminished serum 25-hydroxycholecalciferol concentrations in type 2 diabetic rats. J. Agric. Food Chem. 2016, 64:120-124. Ballesteros MN et al., One egg per day improves inflammation when compared to an oatmeal-based breakfast without increasing other cardiometabolic risk factors in diabetic patients. Nutrients., 2015, 7:3449-3463. Pearce KL et al., Egg consumption as part of an energy-restricted high-protein diet improves blood lipid and blood glucose profiles in individuals with type 2 diabetes. Br J Nutr. 2011 Feb;105(4):584-92. Martha Nydia Ballesteros et al.,One Egg per Day Improves Inflammation when Compared to an Oatmeal-Based Breakfast without Increasing Other Cardiometabolic Risk Factors in Diabetic Patients. Nutrients., 2015, 7:3449-3463. Fuller N R et al., The effect of a high-egg diet on cardiovascular risk factors in people with type 2 diabetes: the Diabetes and Egg (DIABEGG) study – a 3-mo randomized controlled trial. Am J Clin Nutr., 2015, 101:705-713. Matsuoka R et al., Lactic-fermented egg white improves visceral fat obesity in Japanese subjects — double-blind, placebo‐controlled study, Lipids Health Dis., 2017 , 16(1):237. doi: 10.1186/s12944-017-0631-2. Shin S et al., Egg consumption and risk of metabolic syndrome in Korean adults: Results from the health Examinees study, Nutrients, 2017, 9(7), 687. doi: 10.3390/nu9070687. Ann G. Liu et al., The effect of an egg breakfast on satiety in children and adolescents: A randomized crossover trial. J. Am. Coll. Nutr., 2015, 34:185-190. Bonnema AL et al., The effects of the combination of egg and fiber on appetite, glycemic response and food intake in normal weight adults-a randomized, controlled, crossover trial. Int. J. Food Sci. Nutr., 2016, 16:1-9. Garcés-Rimón M et al., Pepsin egg white hydrolysate ameliorates obesity-related oxidative stress, inflammation and steatosis in zucker fatty rats. PLoS One., 2016, 11:e0151193. Woo HW et al., Cross-sectional and longitudinal associations between egg consumption and metabolic syndrome in adults 40 years old: The Yangpyeong Cohort of the Korean Genome and Epidemiology Study (KoGES_Yangpyeong). PLoS One., 2016, 11: e0147729. Catherine J. Andersen et al.,Egg intake during carbohydrate restriction alters peripheral blood mononuclear cell inflammation and cholesterol homeostasis in metabolic syndrome. Nutrients., 2014, 6:2650-2667. Christopher N. Bless et al., Whole egg consumption improves lipoprotein profiles and insulin sensitivity to a greater extent than yolk-free egg substitute in individuals with metabolic syndrome. Metabolism., 2013, 62:400-410. Coheley LM et al., Whole egg consumption and cortical bone in healthy children. Osteoporos Int. 2018, doi: 10.1007/s00198-018-4538-1. Smith-Brown P et al., Growth and protein-rich food intake in infancy is associated with fat-free mass index at 2–3 years of age. J Paediatr Child Health. 2018, doi: 10.1111/jpc.13863. Kim IY et al., Quality of Meal Protein Determines Anabolic Response in Older Adults. Clin. Nutr., 2017, pii: S0261-5614(17)31357-2. Stephen VV et al., Consumption of whole eggs promotes greater stimulation of post exercise muscle protein synthesis than consumption of isonitrogenous amounts of egg whites in young men, Am. J. Clin. Nutr., doi: org/10.3945/ajcn.117.159855. Sakai S et al., Effects of eggshell calcium supplementation on bone mineral density in postmenopausal Vietnamese women. J. Nutr. Sci. Vitaminol., 2017, 63(2):120-124. Hou T et al., Desalted Duck Egg White Peptides Promote Calcium Uptake and Modulate Bone Formation in the Retinoic Acid-Induced Bone Loss Rat and Caco-2 Cell Model. Nutrients, 2017, 12; 9(5). pii: E490. 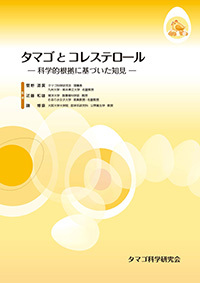 doi: 10.3390/nu9050490. Alison S et al., Considering the benefits of egg consumption for older people at risk of sarcopenia. Br. J. Community Nurs., 2016, 21:305-309.
van der Made SM et al., Increased macular pigment optical density and visual acuity following consumption of a buttermilk drink containing lutein-enriched egg yolks: A randomized, double-blind, placebo-controlled trial. J. Ophthalmol., 2016, doi: 10.1155/2016/9035745. Jensen G S et al., Support of joint function, range of motion, and physical activity levels by consumption of a water-soluble egg membrane hydrolyzate. J. Med. Food., 2015, 18:1042-1048. Eunjin S et al., Association of dietary patterns with overweight risk and all-cause mortality in children with cancer, Nutr. Res. Pract., 2017, 11(6):492–499. Zhou RF et al., Higher dietary intakes of choline and betaine are associated with a lower risk of primary liver cancer: a case-control study. Sci. Rep. 2017 7(1):679. doi: 10.1038/s41598-017-00773-w.
Wilson KM et al., Meat, fish, poultry, and egg intake at diagnosis and risk of prostate cancer progression. Cancer Prev. Res. (Phila), 2016, pii: canprevres.0070.2016. Al-Saud B et al., Early introduction of egg and the development of egg allergy in children: a systematic review and meta-analysis. Int Arch Allergy Immunol. 2018:1-10. doi: 10.1159/000492131. Despo I et al., Timing of allergenic food introduction to the infant diet and risk of allergic or autoimmune disease. A systematic review and meta-analysis. JAMA. 2016, 316:1181-1192. Turner P J et al., Safety of live attenuated influenza vaccine in young people with egg allergy: multicenter prospective cohort study. BMJ., 2015, 351:h6291, doi: 10.1136/bmj.h6291. Lemos BS et al., Effects of Egg Consumption and Choline Supplementation on Plasma Choline and Trimethylamine-N-Oxide in a Young Population. J Am Coll Nutr. 2018:1-8. doi: 10.1080/07315724.2018.1466213. Wang X et al., Effect of Different Heat Treatments on In Vitro Digestion of Egg White Proteins and Identification of Bioactive Peptides in Digested Products, J Food Sci. 2018, 25. doi: 10.1111/1750-3841.14107. Taguchi C et al., Regular egg consumption at breakfast by Japanese woman university students improves daily nutrient intakes: open-labeled observations. Asia Pac J Clin Nutr. 2018, 27(2):359-365. Iannotti LL et al., Eggs early in complementary feeding increase choline pathway biomarkers and DHA: a randomized controlled trial in Ecuador, Am J Clin Nutr. 2017, 106(6):1482-1489. Baltaci D et al., Evaluation of serum Vitamin B12 level and related nutritional status among apparently healthy obese female individuals. Niger J Clin Pract. 2017 , 20(1):99-105. doi: 10.4103/1119-3077.181401. Baum J et al., The effect of egg supplementation on growth parameters in children participating in a school feeding program in rural Uganda: a pilot study. Food Nutr. Res., 2017; 61(1): 1330097. doi: 10.1080/16546628.2017.1330097. Matsuoka R et al., Heating Has No Effect on the Net Protein Utilisation from Egg Whites in Rats. Scientific World Journal, 2017; 2017: 6817196, doi: 10.1155/2017/6817196. Kralik G et al., Poultry products enriched with nutricines have beneficial effects on human health., Med Glas (Zenica), 2017 Feb 1;14(1). doi: 10.17392/879-16. Kim JE et al., Egg Consumption increases Vitamin E absorption from co-consumed raw mixed vegetables in healthy young men. J. Nutr., 2016, doi : 10.3945/jn.116.236307. Hayes A et al., Vitamin D-enhanced eggs are protective of wintertime serum 25-hydroxyvitamin D in a randomized controlled trial of adults. Am. J. Clin. Nutr., 2016, 104:629-637. Kobayashi Y et al., Egg yolk protein delays recovery while ovalbumin is useful in recovery from iron deficiency anemia. Nutrients. 2015, 7:4792-4803. Chamila N et al., Bioaccessibility and digestive stability of carotenoids in cooked eggs studied using a dynamic in vitro gastrointestinal model. J. Agric. Food Chem., 2015, 63: 2956-2962.
van der Made S MN et al., Consuming a buttermilk drink containing lutein-enriched egg yolk daily for 1 year increased plasma lutein but did not affect serum lipid or lipoprotein concentrations in adults with early signs of age-related macular degeneration. J. Nutr., 2014, 144: 1370-1377. Christopher N. Bless et al., Egg intake improves carotenoid status by increasing plasma HDL cholesterol in adults with metabolic syndrome. Food. Funct., 2013, 4:213–221. Jung Eun Kim et al., Effects of egg consumption on carotenoid absorption from co-consumed, raw vegetables. Am J Clin Nutr., 2015, doi: 10.3945/ajcn.115.111062. 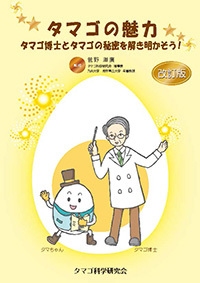 Matsuoka R et al., Egg white hydrolysate improves fatigue due to short-term swimming load test in mice.Food Sci Nutr. 2018;6(8):2314-2320. doi: 10.1002/fsn3.810. Yang KT et al., Protective effects of antioxidant egg-chalaza hydrolysates against chronic alcohol-consumption induced liver steatosis in mice. J Sci Food Agric. 2018 doi: 10.1002/jsfa.9426. Kobayashi H et al., Egg white hydrolysate inhibits oxidation in mayonnaise and a model system. Biosci. Biotechnol. Biochem., 2017, 81(6):1206-1215.doi: 10.1080/09168451.2017.1290519. Yousr M et al., Antioxidant and ACE Inhibitory Bioactive Peptides Purified from Egg Yolk Proteins. Int. J. Mol. Sci., 2015, 16(12):29161-78. doi: 10.3390/ijms161226155. Majumder K et al., Structure and activity study of egg protein ovotransferrin derived peptides (IRW and IQW) on endothelial inflammatory response and oxidative stress. J Agric. Food Chem., 2013, 61:2120-2129. Vuong TT et al., Processed eggshell membrane powder regulates cellular functions and increase MMP-activity important in early wound healing processes. PLoS One. 2018;13(8):e0201975. doi: 10.1371/journal.pone.0201975. Yoshida S et al., Effect of Dietary Fermented Mushroom Bed on Egg Production in Laying Hens. Biosci. Biotechnol. Biochem., 2017, 81(11):2204-2208. Kageshima H et al., Inhibition of Growth of Candida albicans by a Lysozyme-chitosan Conjugate, LYZOX and its Combination with Decanoic Acid, Med. Mycol. J., 2017, 58(3), J63-J69. doi: 10.3314/mmj.17-00005. Conrad Z et al., Time Trends and Patterns of Reported Egg Consumption in the U.S. by Sociodemographic Characteristics. Nutrients 2017; 9(4) doi: 10.3390/nu9040333. MP Ylilauri et al., Association of Dietary Cholesterol and Egg Intakes With the Risk of Incident Dementia or Alzheimer Disease: The Kuopio Ischaemic Heart Disease Risk Factor Study. Am. J. Clin. Nutr., 2017, doi: 10.3945/ajcn.116.146753. Yang XJ et al., Epidemiological study: correlation between diet habits and constipation among elderly in Beijing region, World J. Gastroenterol., 2016, 22: 8806-8811. Cho CE et al., Trimethylamine-N-oxide (TMAO) response to animal source foods varies among healthy young men and is influenced by their gut microbiota composition: a randomized controlled trial. Mol. Nutr. Food Res., 2016, doi: 10.1002/mnfr.201600324. Copyright © tamago_kagakukenkyukai. All Rights Reserved.